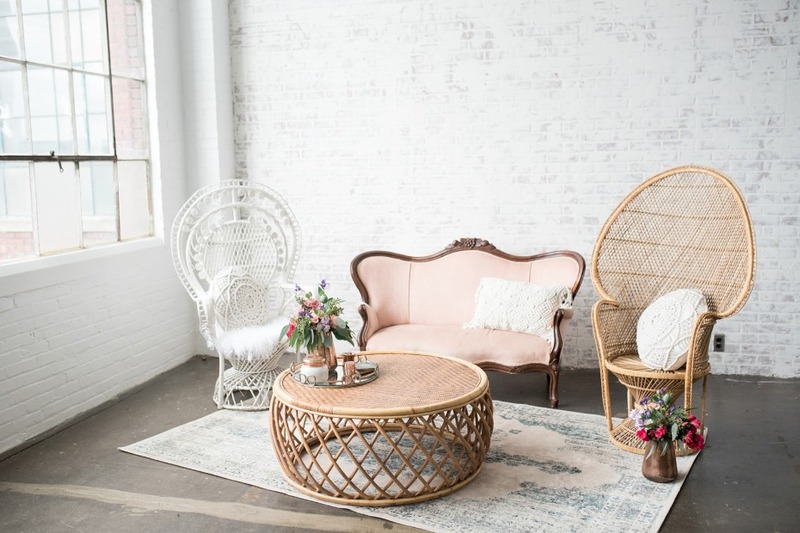 The industrial vibe of Studio 618 in Pittsburg, PA was given a whimsical transformation with bohemian styled decor and a punch of pastel color. 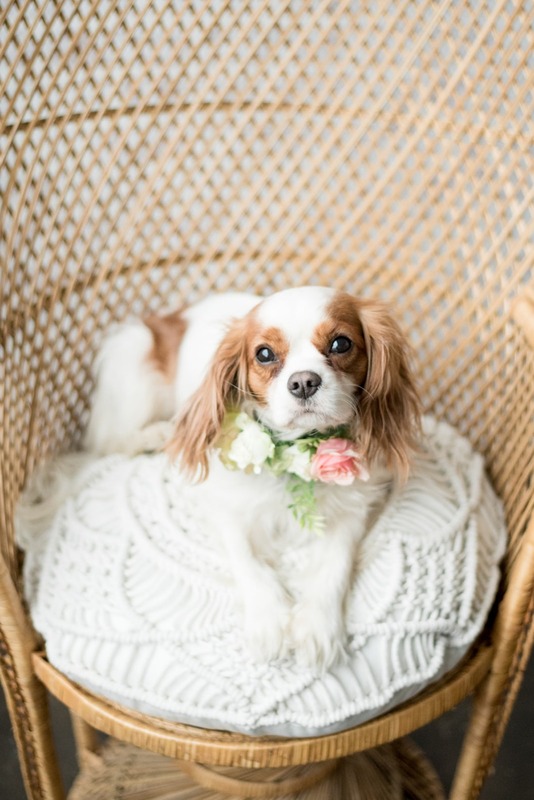 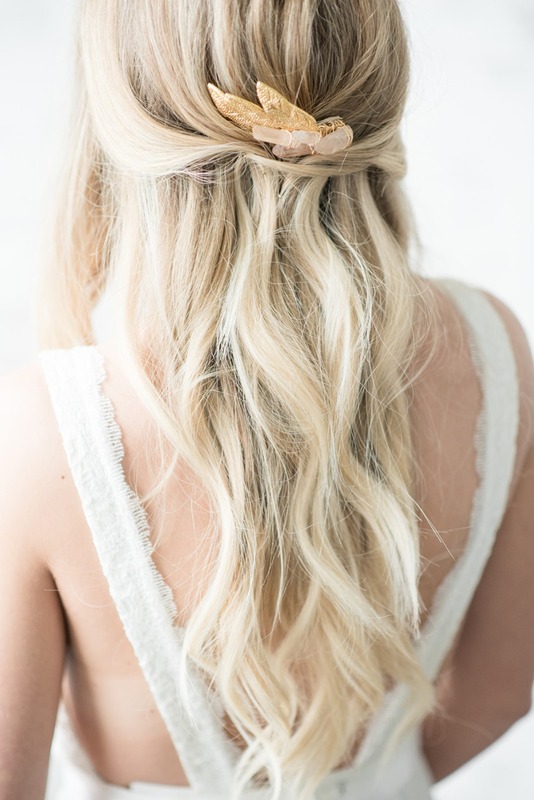 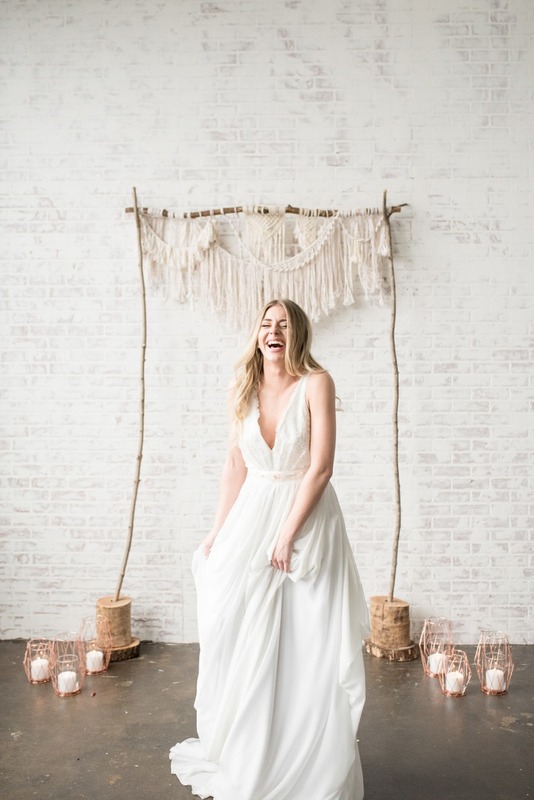 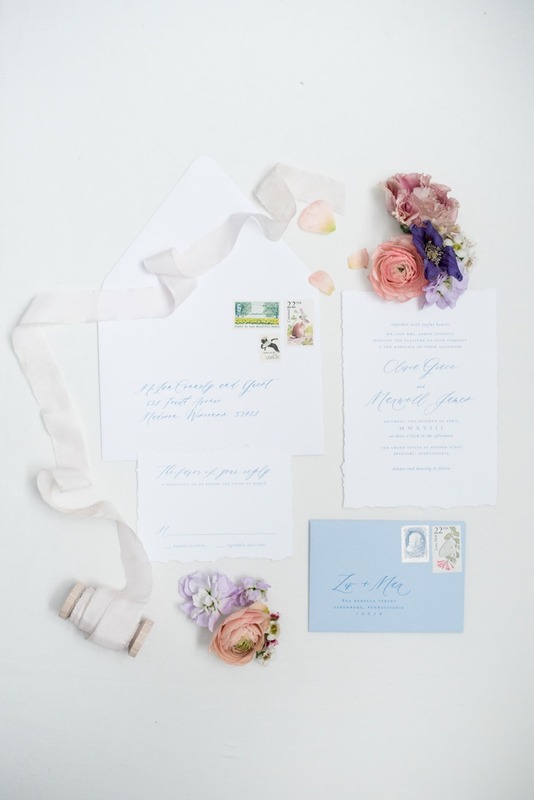 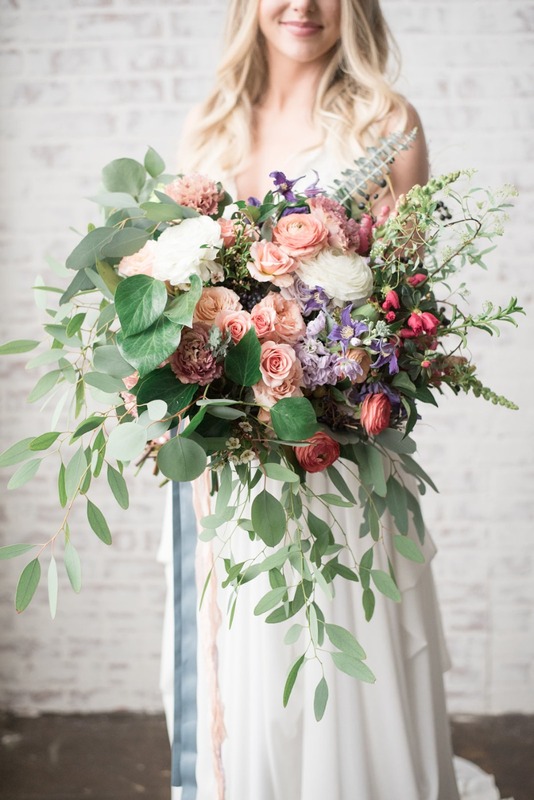 Alyssa Thomas Events and a team of talented vendors brought their A-game creating the effortless design you’re about to see. 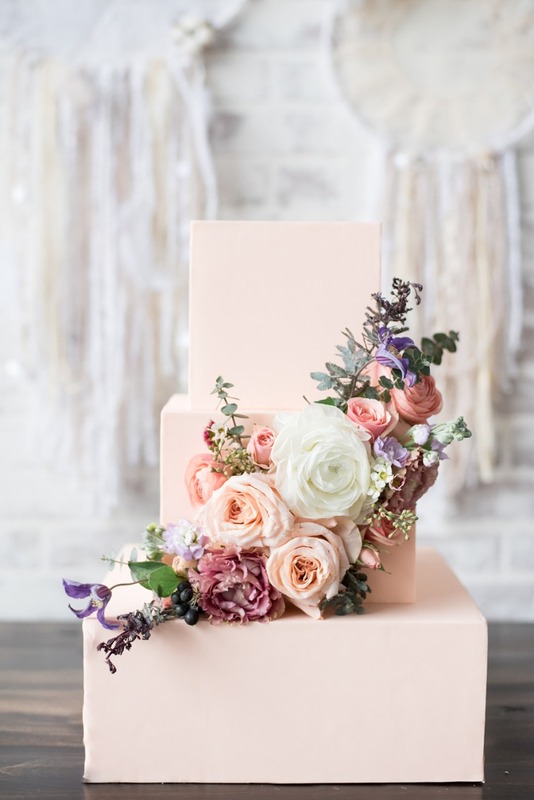 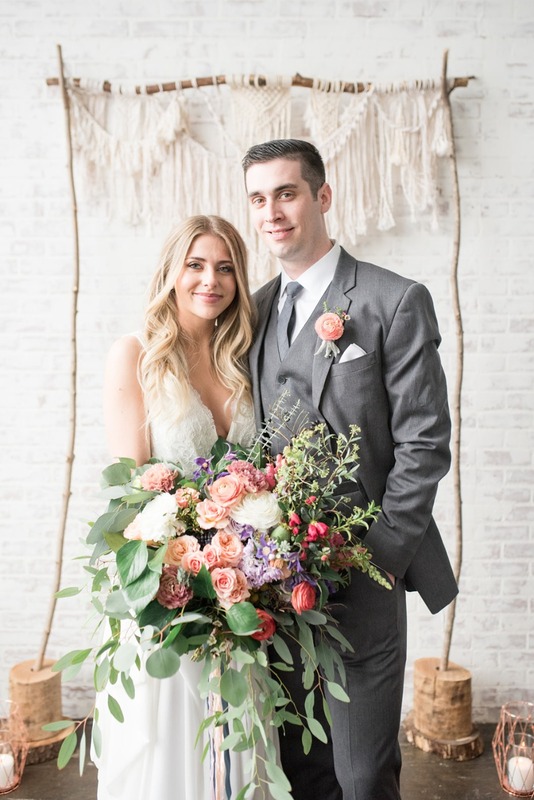 From the wild and colorful blooms in the bouquet and on the table to the gorgeous pastel pink wedding cake, keep scrolling to see all the highlights from this dreamy day. 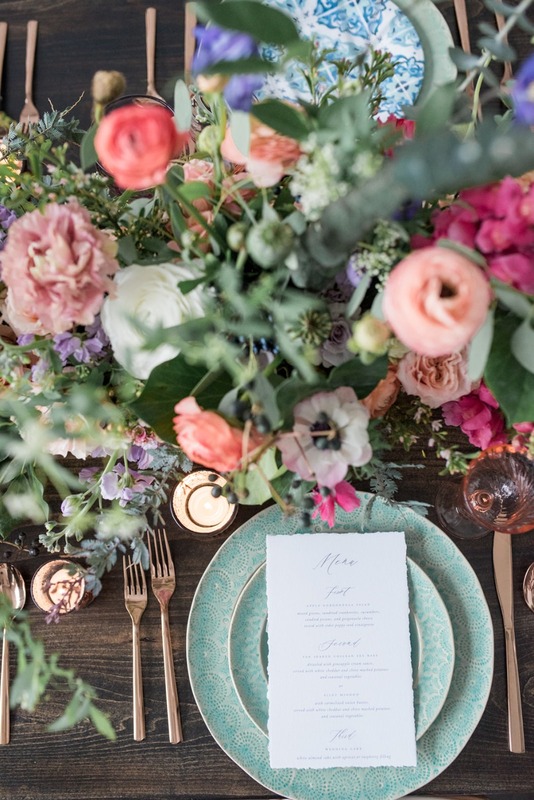 When you're ready to see more, check out the full gallery from Eva Lin Photography. 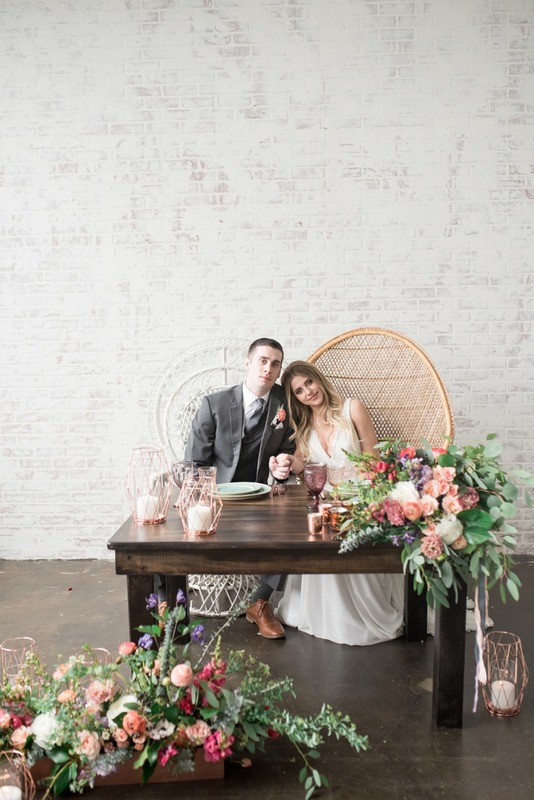 From Alyssa Thomas Events: Staged in a loft studio in the heart of Pittsburgh, PA, this shoot was inspired by the desire to mix the industrial architecture that Pittsburgh was built upon with a soft and whimsical, modern-day bohemian style that can seem sometimes unachievable in the Steel City. 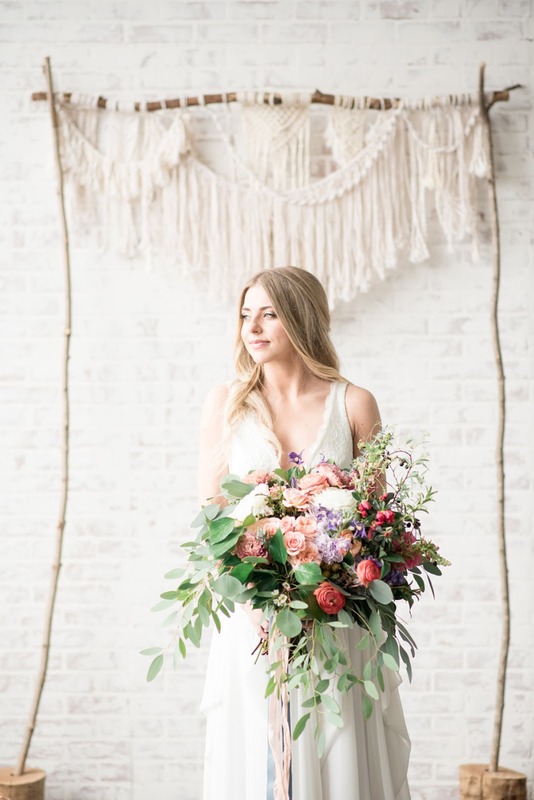 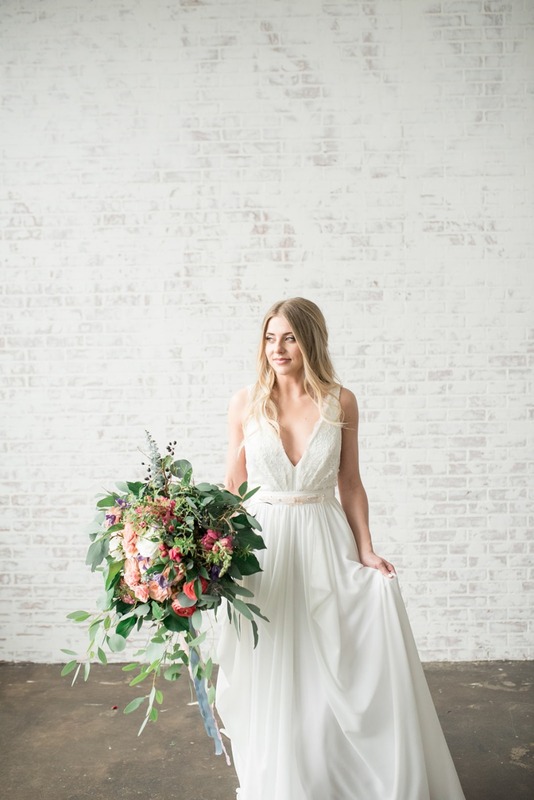 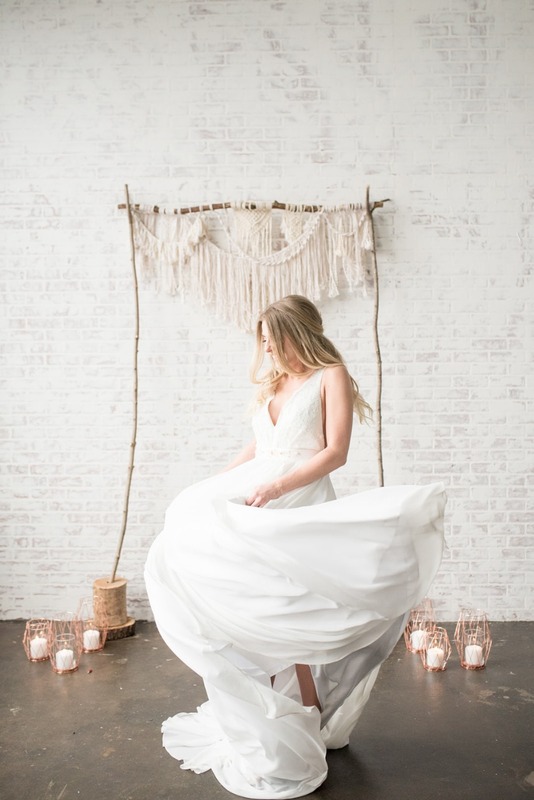 Nestled high in a downtown studio loft, the whitewashed brick walls and large windows provided a light and airy aesthetic, an abundance of texture and a clean background that so many modern day brides are inspired by for their wedding day photography. 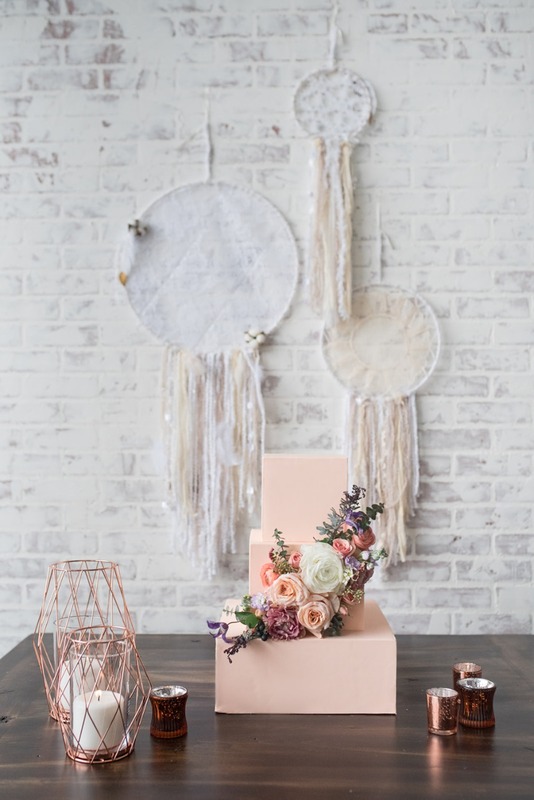 With an everlasting passion for mixing color, texture, and dimension, I chose to highlight the punchy pastel blooms that arrive with the Spring and Summer seasons and play them off of copper and macramé structures to keep the eyes wandering through this organic and playful setting. 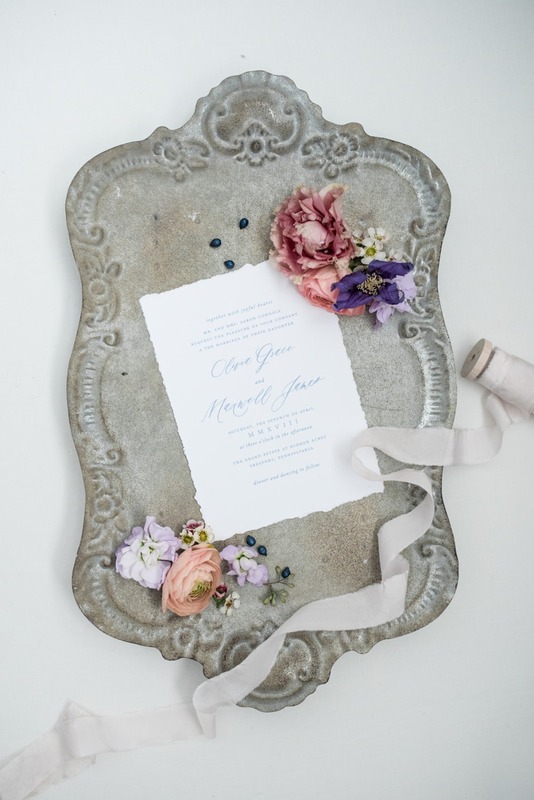 This team of vendors was obsessed with the details. 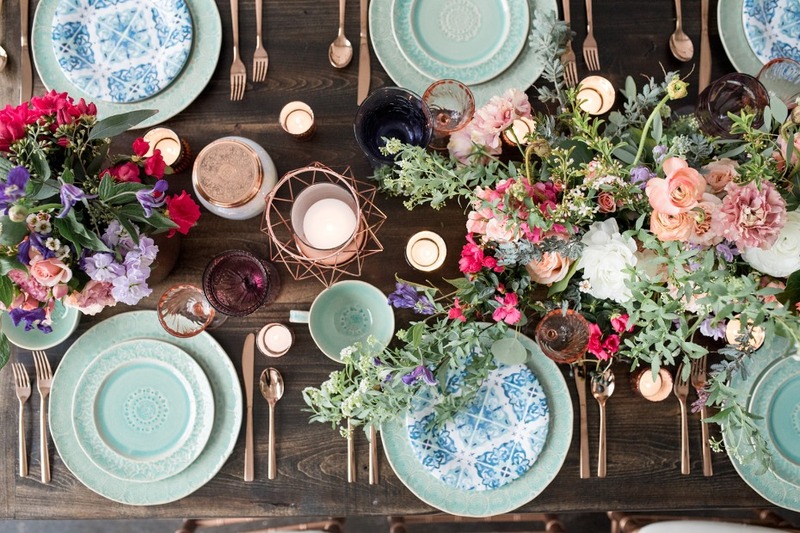 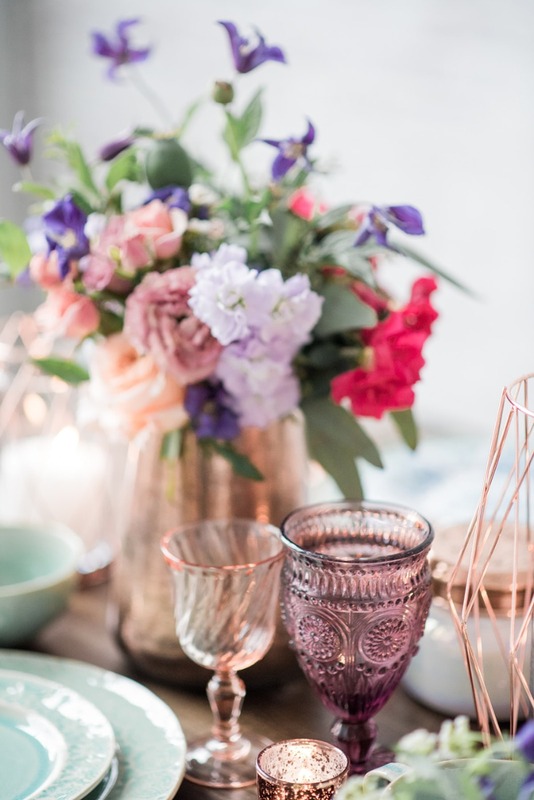 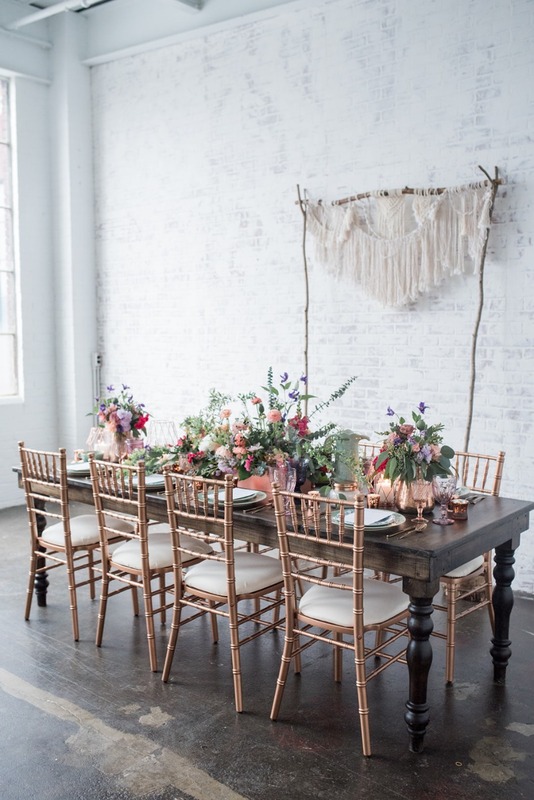 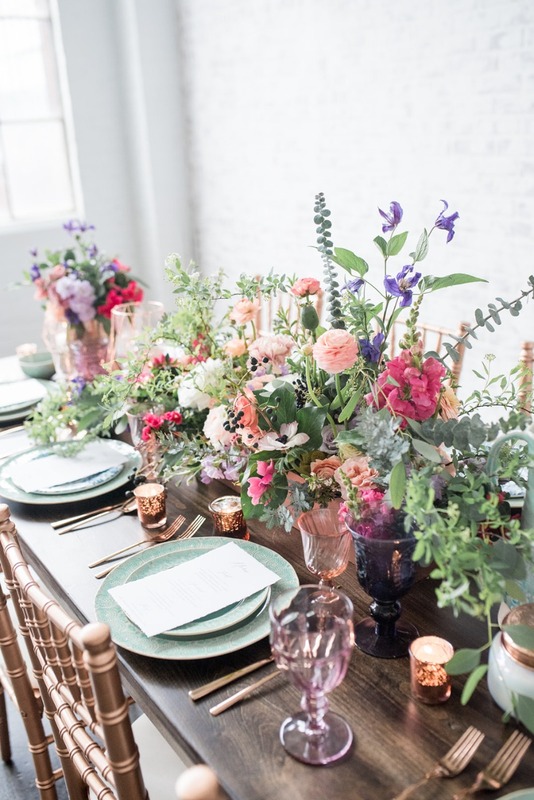 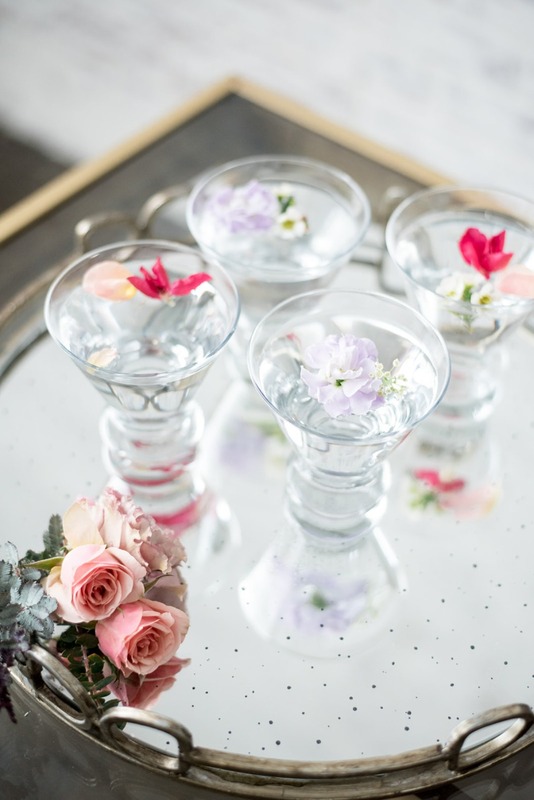 From the organic and wild floral arrangements, geo-copper candle holders, textured ceramic plates, and the pink quartz embedded in the hairpin and sash, each design element was carefully selected to emphasize this effortless bohemian style. 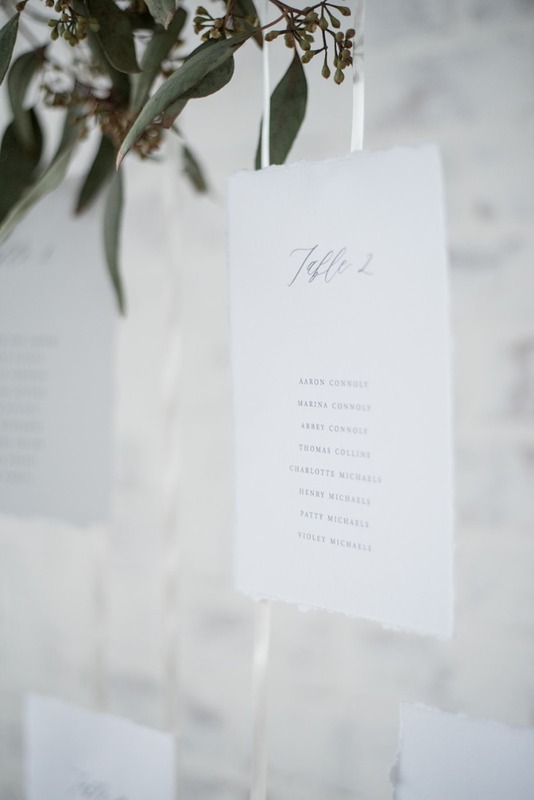 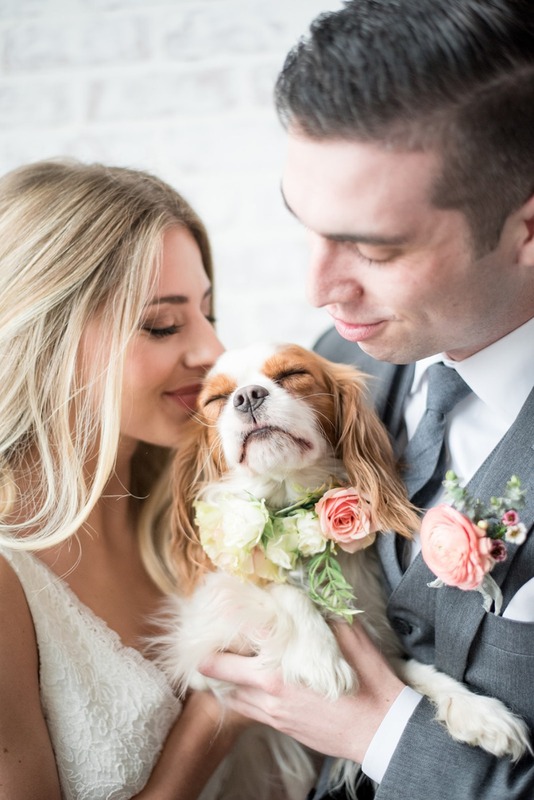 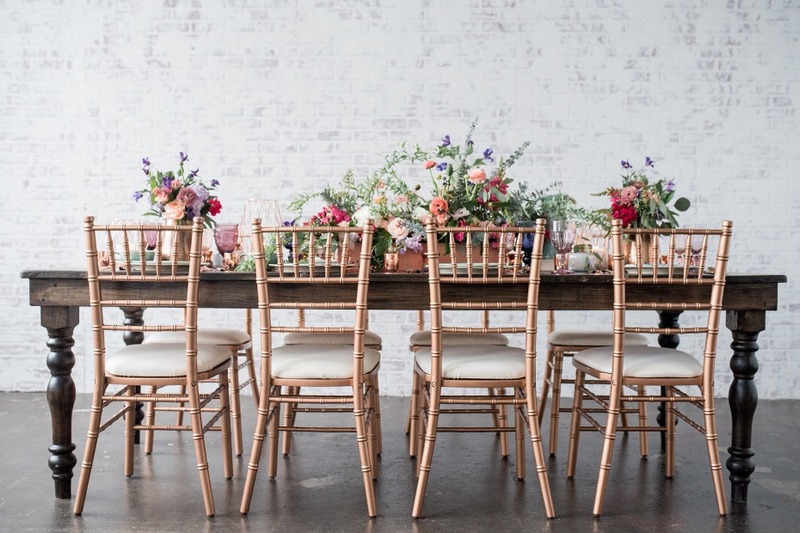 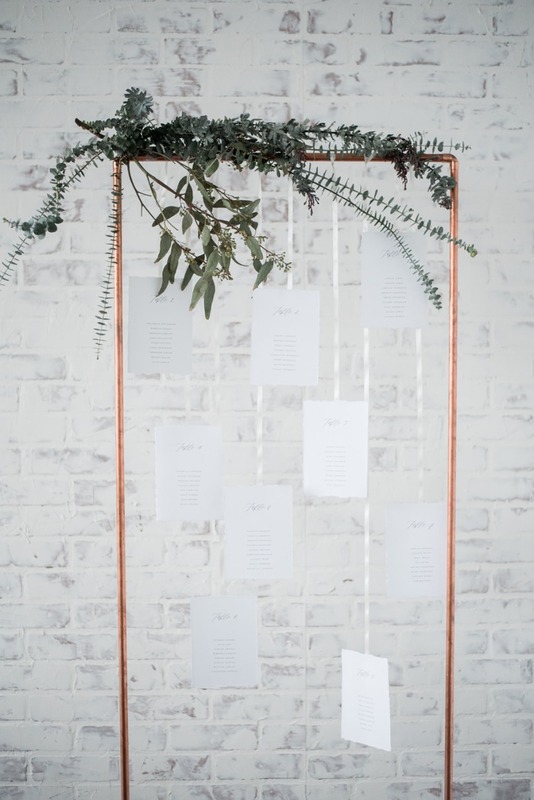 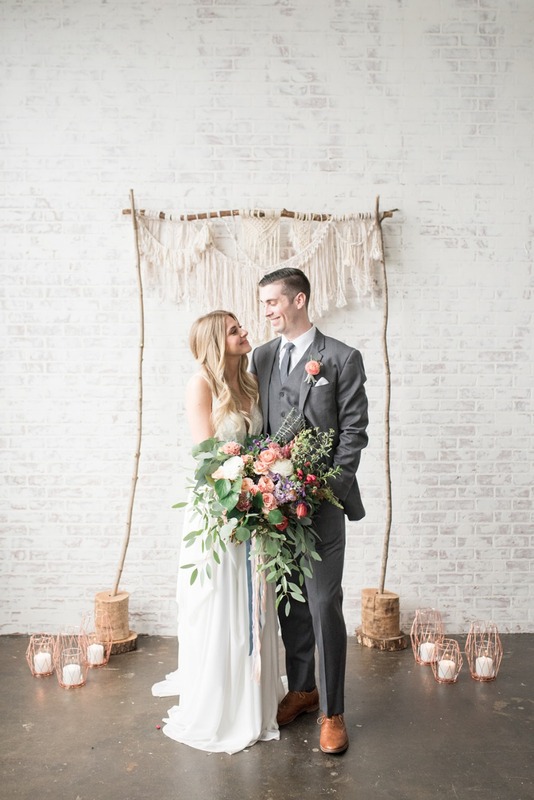 Everything from the bride and groom to the smallest of details deserves a moment to shine on a couple's wedding day, and with a balance of industrial meeting bohemian whimsy, we were inspired to achieve just that.